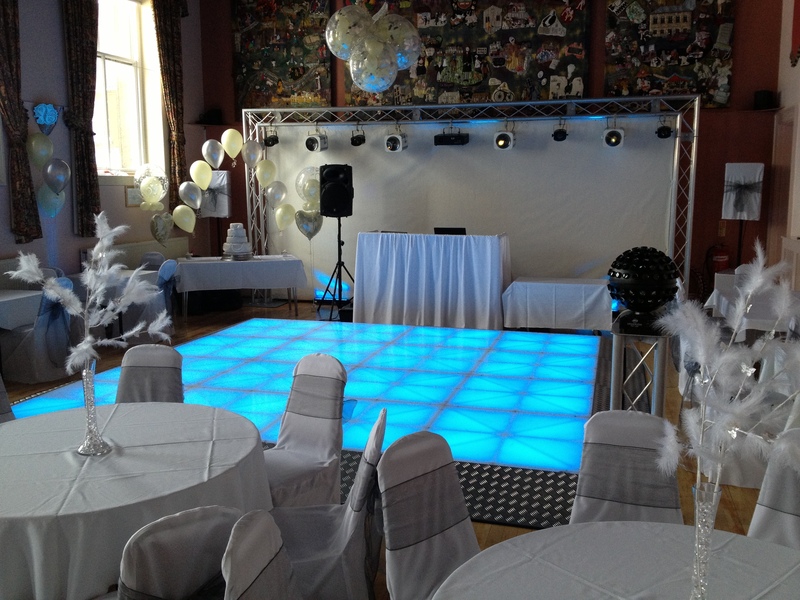 This is the ultimate in wedding disco sophistication, excellent for that special day where everything needs to be perfect. 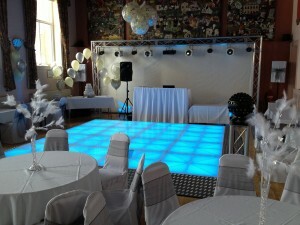 our platinum version of the standard disco using only equipment that is silver and white. 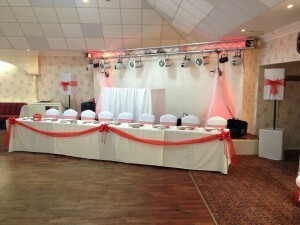 with a massive white back-drop where your wedding day pictures can be projected or onto our plasma screens. 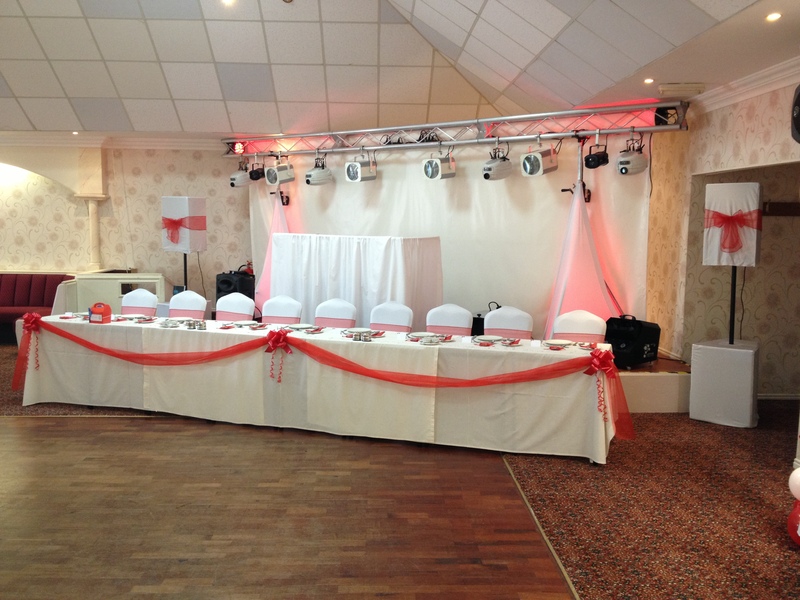 intelligent high quality lighting an a high quality sound system, this looks awesome in the background of your wedding party or first dance pictures. no other company can offer this quality of white equipment show, other companies use black tatty equipment that has been dragged in and out of venues, not nice to look at when you have spent so much money making everything else look perfect. a professional dj in a suit, shirt and tie making sure that the day is as perfect as it should be!